I took two snapshots and had to use this one because of the bling factor from my flash. I giggled when I saw it! 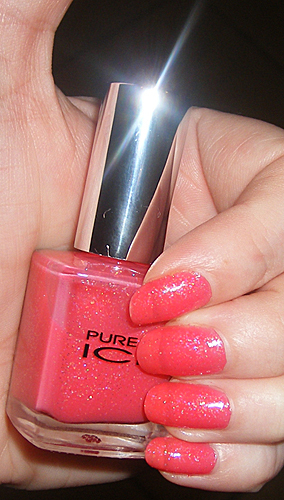 Dreamy by Pure Ice is a coral colored jelly like polish with iridescent glitter in it.